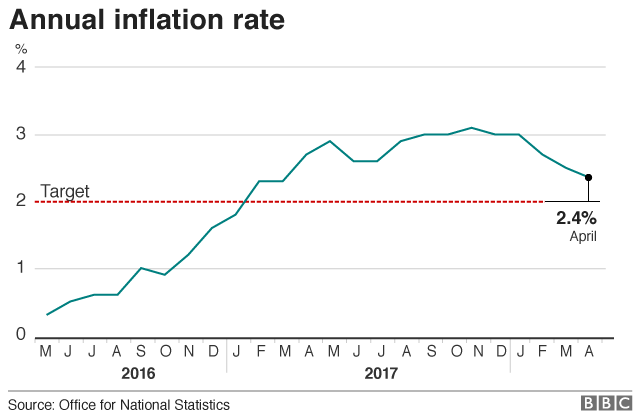 The chances of an interest rate rise this year have receded after Consumer Price Inflation fell to 2.4% in April - its lowest level since March 2017. 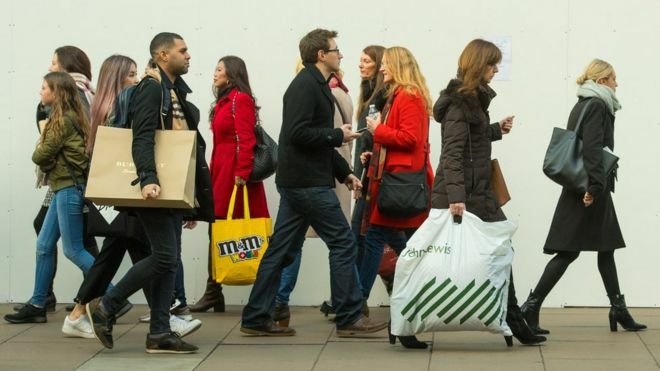 "Inflation falling for the third month in a row further dents any hopes of a late-summer rate rise from the Bank of England," said Ben Brettell, senior economist at Hargreaves Lansdown. Neil Jones at Mizuho Bank said: "It is starting to appear the weaker CPI is more structural and not just because of the bad weather. Brexit uncertainty continues to weigh and may indeed put the Bank on hold throughout the summer and beyond." "The impact of recent increases in oil prices and previously announced hikes in utility tariffs should ensure that inflation proves more 'sticky' than it has done so far this year," he said. "Against such a backdrop, and with the economy expected to recover in the second quarter, we expect the Bank of England to hike interest rates at its meeting in August." Inflation is easing but for how long? Inflation keeps on coming in lower than expected. If you strip out volatile items such as food and fuel, then so-called "core inflation", Bank of England governor Mark Carney's preferred measure, is only 2.1% - barely above the 2% target. From being 90% sure a couple of months ago that a second interest rate rise would have happened by now, the markets now think it's unlikely before November. Why raise rates even then? The thinking now is - inflationary pressures may have abated for now, but the Bank has to look two years ahead. At the last count (first three months of the year), the average pay rise was 2.9% and it may go higher. The pound has weakened against the dollar recently and if higher oil prices, priced in dollars, are here to stay, they are likely to push up the cost of imported goods. The Bank isn't at all sure the threat from above-target inflation has gone for good. In April, the pound climbed as high as $1.4325 on expectations that UK interest rates would soon be moving higher. However, since then, weaker economic data has reversed that thinking and the pound has fallen almost 7% from that April high. Inflation on the Retail Prices Index (RPI) measure rose to 3.4%, from 3.3% in March.